Being a guitar instructor means I often get to witness novice players doing some pretty weird things. I don’t mean pig’s blood and a chicken foot type weird–I mean “where on earth did you get that” kind of weird. 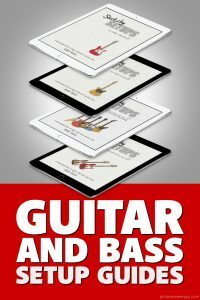 Many of these errors in a guitarist’s technique or conceptual understanding come about by a simple misunderstanding early in their period of learning. Because guitarists often begin as self-taught practitioners, these mistakes go unnoticed up until the point they get a guitar teacher. Fortunately, most of these quirks are harmless and are quickly corrected, but a few can be really hard to shake. These mistakes tend to restrict a guitarist’s progress for years because they are so deeply ingrained – their earliest guitar habits being the ones that are the hardest to unlearn. Even today, with all the glorious educational resources that the internet provides, there is still a margin for error and misunderstanding. Self-taught players tend to be more at risk because they’re unable to easily verify what they have learned or ask questions to clarify their understanding. They then carry this misinterpretation for months or perhaps years, stunting their progress. To be fair, none of us are immune to this. Simply put, misunderstanding (and hopefully correction) is just as much a part of the learning journey as anything else you might encounter. Part of learning is making mistakes then modifying behaviours to correct them but sometimes the lack of awareness that these things are actually mistakes can leave us befuddled for a long time. Here are some I have encountered. Now that is some solid reasoning! I can’t argue with the logic but it’s just plain wrong – and he knows that (now) but it remains a hindrance. There’s always an awkward pause as he first heads across the neck in the opposite direction to which was intended, then rights himself, missing vital beats. Players who have this confusion should try to shift their focus to what their ears are hearing rather than what their eyes are seeing: when the notes sound higher in pitch, you’re moving higher up the fretboard. This can be an unconscious habit rather than a mistake but is no less difficult to shake. Often the guitar player won’t even know they are doing this until it’s pointed out to them by an instructor. Interestingly, in my experience this tendency towards picking in only one direction does not reveal itself when the student is strumming. In fact, some students seem very comfortable strumming chords with an even up-and-down motion. Weirdly, the “all upstrokes” (or all downstokes) habit only kicks in once the guitarist focuses on their lead playing techniques like scales or licks. I suspect this comes about through the student’s intense concentration on their fretting hand, leaving the picking hand with little brain power or motor skills to get it’s act together. Well, although you cope just fine right now, the problem will come later when you want to go further and faster. Imagine Eddie Van Halen playing Eruption using only upstrokes or Hetfield and Hammett chugging through their muted gallops in “downstroke only” mode. Is that even possible? Nope, I don’t think so. Unlearning this, then learning to move your pick in both directions (alternate picking) is the only way to lay the groundwork for good picking speed and fluidity of playing. Begin by alternate picking each of the thickest strings, moving to the next string after one down-up motion. Next try down-up down-up on each of the two thickest strings, finally try full alternate picking on one string. Once you’re comfortable with the non-note version of this then hold down a chord and repeat, applying a little picking-hand palm muting. So get out your phone and iron out the bumps. I was guilty of this myself for years. Somehow I had concluded that if the note wasn’t in my scale box shape, it couldn’t be in the scale. A simple example is the G major scale box shape (shown), my younger self would argue that because the F# (2nd fret, string 6) is not shown, it absolutely couldn’t be a note in this scale. The same would go for the E note on the open 6th string or the A on the 1st string at fret 5. Of course, this is incorrect as both appear in the box shape on the 4th string as the 6th note and 7th note respectively. I just didn’t make the connection that these notes could also be played an octave lower on the 6th string. Scale box shapes are designed to provide a small usable piece of information that you can get your head around fairly easily, but keep in mind there’s more to them than that. You’ve been shown a small piece of what is actually a much larger entity. This is likely done to keep things simple. If you were shown every note in the scale everywhere on the fretboard it would freak you out (too much, too soon) so take it one step at a time and just be aware that there’s life (and more notes) beyond the box shape. The major scale contains 7 notes and from each of these notes a chord is made. This is our family of 7 chords which sound good together – I call them a family because they are all related. The tonality of each chord is already set: chords built from the 1st, 4th and 5th notes of the scale are always Major. The 2nd, 3rd and 6th are minor and the 7th is diminished. So them’s your choices. No more mystery! This happens with all scales – I just picked the Major scale as an example. For more on this, see this post: The Very Basics of Music Theory for Guitarists. This is crucial to iron out when you start playing barre chords otherwise it causes all kinds of problems and confusion. Many chord shapes exist that look the same visually but make completely different chords depending on which string they begin. So if you’re the type of player who plays a Root 5 barre chord with your index finger also fretting the 6th string, I’d encourage you to stop doing that. Not because it’s musically wrong but because at a glance you’ll think you’re playing a Root 6 shape when it’s actually a Root 5 shape. At this point it’s not crucial that you know all these chords just that you know that moveable chords shapes form the same chord type when you move them up and down the neck but change when you move them across strings. These days remedying this is as simple as downloading an app but I am still constantly surprised by how few guitarists include a time-keeping device (notice I didn’t say metronome) in their practice. I’ve seen guys nail classic guitar solos note-for-note yet their rhythm playing sucked. And they sucked because they didn’t spend time on the basics. Solid time-keeping is an essential discipline and just as vital as the licks, chords and scales you are learning, so you should bring them all together during your practice – if you’re playing anything, that thing should be on and marking time. I use the phrase time-keeping device because personally I have a beef with metronomes. I think practicing with drum grooves is far more useful for developing your internal feel and phrasing. However, if a metronome works for you then you should work with one. Ask a guitarist why they began playing the guitar in the first place and they’ll tell you stories of how the guitar “spoke” to them when they heard a particular song (mine was Sultans of Swing by Dire Straits). Or that they went to a live show and saw how crazy the girls were about the guitar player or that the guitar is simply the instrument that they find solace and peace when playing. I guarantee none of them will say “so I can play in my bedroom alone” and yet few intermediate guitar players seek out an open mic or jam session to further their skills. Regardless of your abilities, playing live with other musicians is something you should treat as another aspect of your development and an integral part of your guitar apprenticeship. There’s a huge brotherhood of musicians at these jam nights that will support you and from whom you can learn so much. Playing live at a jam is less about your guitar playing abilities and more about learning to listen and becoming aware of where you fit in a live musical landscape. Learning to be in the moment, to only move forward (there’s no stopping the band if you make a mistake) and to create musical ideas on the fly. You’ll learn more here in an arena of practical application than years tucked up with Songsterr and YouTube. Of course, this idea is intimidating to most people. But it’s indisputable that beyond a certain point, you simply cannot grow any further as a musician without taking this step. You should view it as a coming of age experience like your first day of high school, your driving test or losing your virginity. All these events were a little scary but you got through them and life is better now because you did. So take a step into a bigger musical world and get yourself to your first jam! What unusual guitar playing traits have you discovered noticed about yourself or others? How hard were they to put right? What do you still struggle with? Tell me in the comments below. 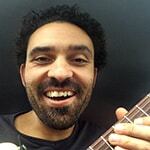 Phil is an online guitar instructor and performer in New Zealand’s only Jimi Hendrix Tribute Show. 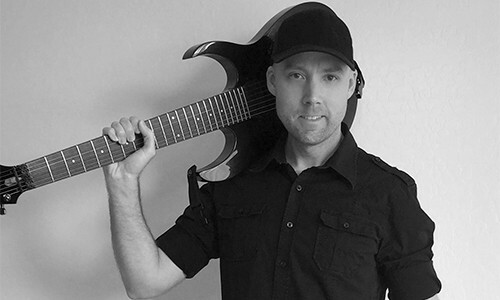 His free course Supercharge Your Six String helps you maximize your existing guitar skills, improve your recall and learn 3x faster. 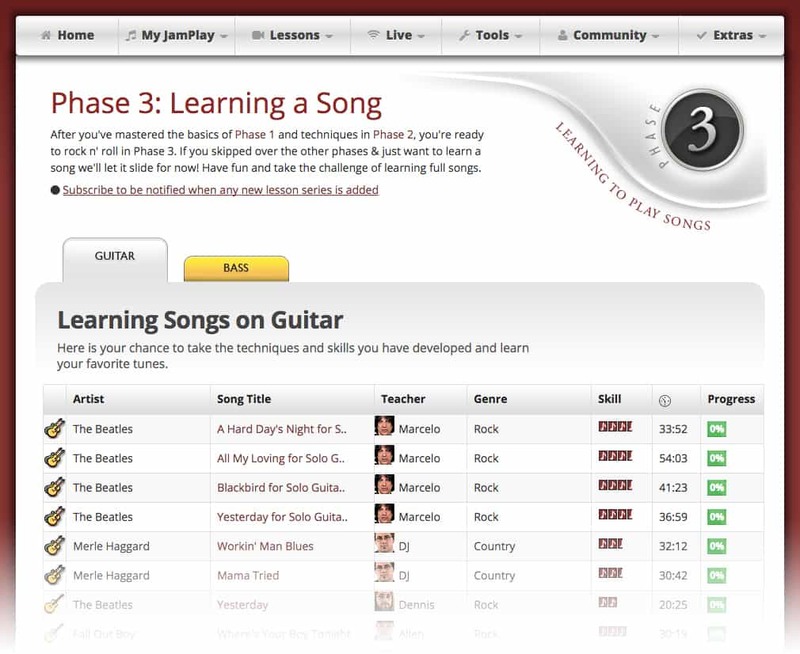 Have you thought about signing up for a JamPlay.com membership, but weren’t sure if it was worth the price? Have you seen the ads everywhere online but been hesitant to pull the trigger? 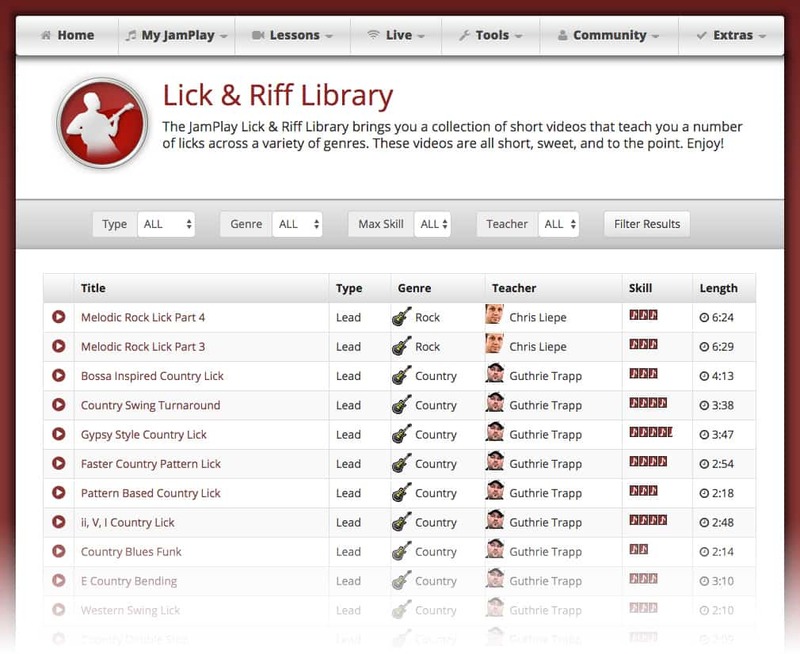 Well, let me help you decide by taking you through every nook and cranny of the JamPlay.com user interface. Dude, Why’s the Video so Long!? 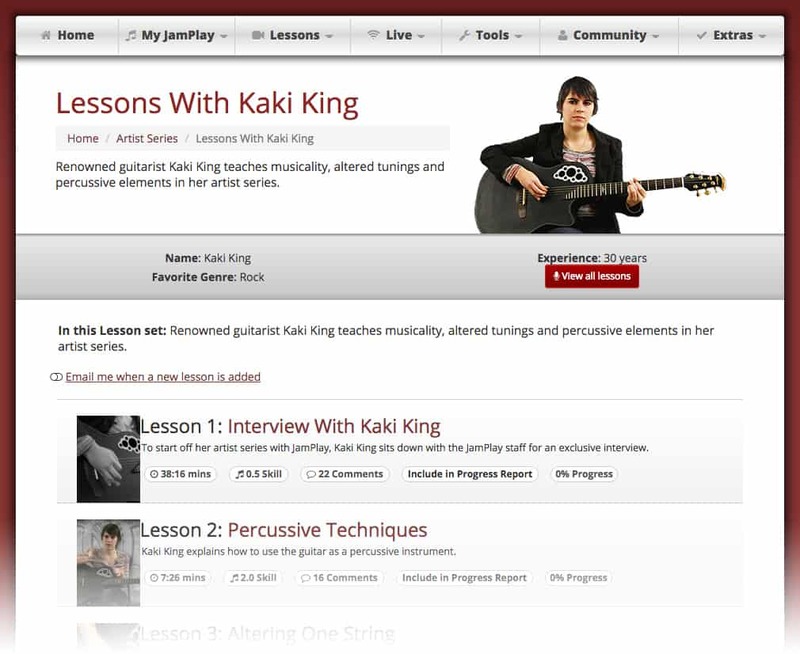 If you want a 5-10 minute overview video, you can already get that by just visiting JamPlay.com, or watching one of the many “overview” style videos that people have created. Some of them are good, others are a bit too sales-y for my taste. This video is for those of you who’ve already seen all that stuff, but are still hesitant about the value of a membership. 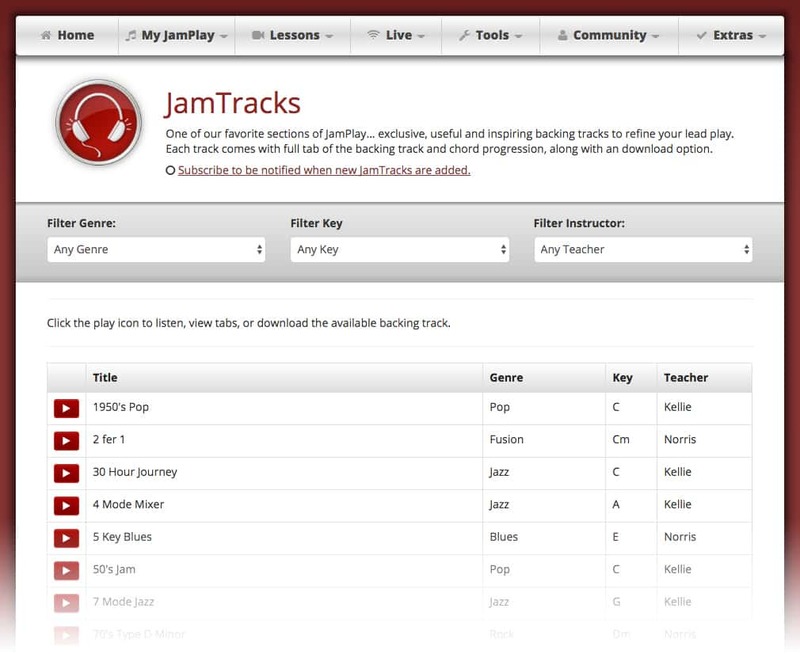 This video takes you DEEP into every feature JamPlay has to offer, so you can resolve any questions you may still have. Firstly, as I say in the video, this isn’t really JamPlay review, per se. Of course, in the video I do give my personal opinions on some of JamPlay’s features, and even point out a couple bugs, but it’s not meant to persuade you one way or the other. 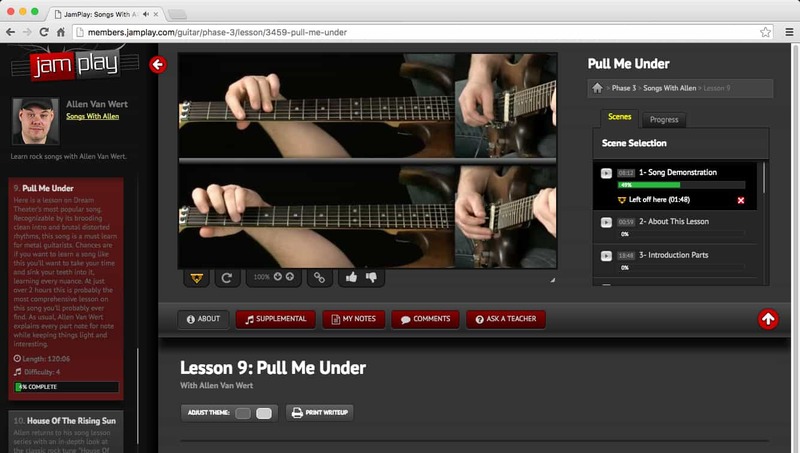 There are a lot of guitar lesson membership sites out there, and they’re all really good. JamPlay is just one of them. So, I want to take you through the JamPlay user interface, show you all the lessons, artists, and features, and let you decide for yourself if it’s something you think you’d benefit from. If you do decide to join, I’ve secured a couple discount codes for you to get a few bucks off your membership. They’re listed at the beginning of the video and in the blue “signup” boxes sprinkled throughout this post. One reason I joined JamPlay was because I had specific Dream Theater songs I needed to learn, and I was struggling to learn them by ear. JamPlay’s detailed, section-by-section song breakdowns were a godsend for me. Learn by Genre, Skill, or Both! 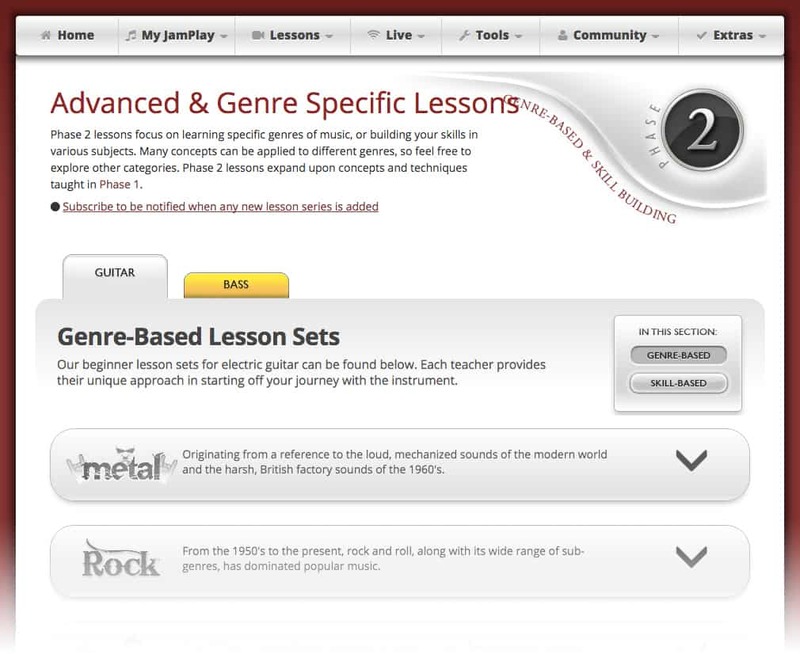 If you know what kind of player you want to be (Jazz, Country, Rock, etc), you can choose a genre and learn. Or, you can study a specific skill or technique. Of course, you can always do both! If you’ve been on-the-fence about joining a membership site like JamPlay, I hope my (insanely long) video helped you come to a decision, one way or the other. If you do decide to join JamPlay, I’d recommend trying it for 1-month first. Be sure to take advantage of the discounts codes I’ve provided, and let me know how you like it in the comments below. 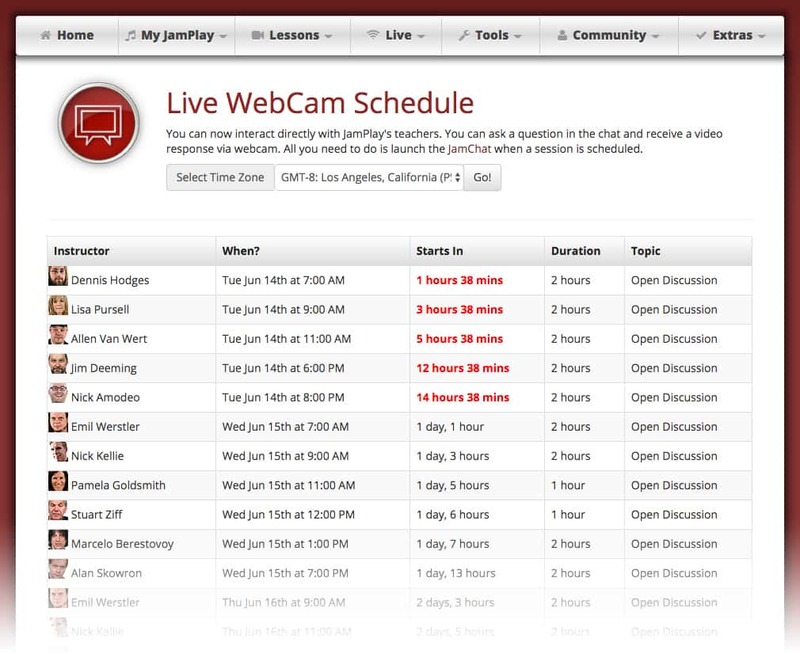 If you still have any questions about JamPlay, don’t hesitate to ask in the comments below. If you don’t want the community to see your question, you can send me a message through my contact form instead.